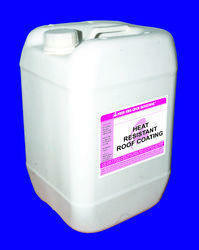 We are one of the most reliable companies in this domain and are into offering Heat Reflective Roof Coating. Allied Koolmax is a high performance non-toxic high emissivity ready to use solar reflective coating which reflects maximum amount of UV and infra-red rays. This product has the highest SRI value of 122. Consquently it prevents the roof from heating up during peak summer season thereby reduces the room remperature significantly. High performance, single pack, aqueous aliphatic polyurethane paint with micro glass bubbles with low thermal conductivity, applied by brush or by spray give a totally impervious finish. It gives very tough wear resistant coating to withstand many chemicals, fats, solvents and has good U.V. resistance and good heat insulation. 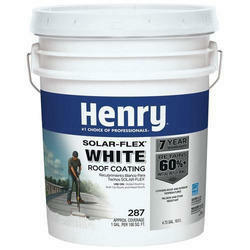 Suitable for exterior coatings. We are the most trusted name among the topmost companies in this business, involved in offering Terrace Cool Coating. EXCEL flexicool is a double action coating. It acts as a total leak proofing as well as heat protection. It is 2 parts system. The base coat is a water repellent coating and the 2 top layers are heat reflective coating. - The water proofing base coat completely seals the current leaks.